Move the Crystal Quartz Plane Wand with Garnet stone around your to dispel any negative energy. It is a wonderful tool to mitigate pains and cure ailments. 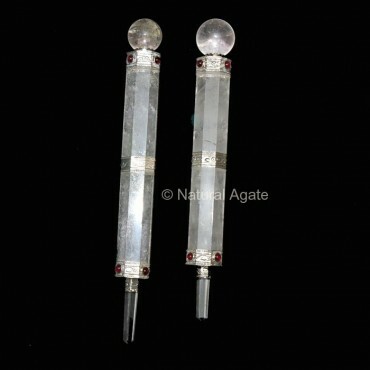 This wand is available on Natural Agate at a fair price.